Since 1991 Vanacore Homes has developed many beautiful communities in Ormond Beach and Palm Coast. How does living in a beautiful golf community or on the Tomoka River sound? How about a gated enclave in Ormond Beach? You have options with Vanacore Homes. Own land? We will design and build your dream home on or near the coast of Volusia or Flagler County. Learn more today by visiting our New Home Sales & Information Center, Halifax Plantation, Old Dixie Highway, Ormond Beach. 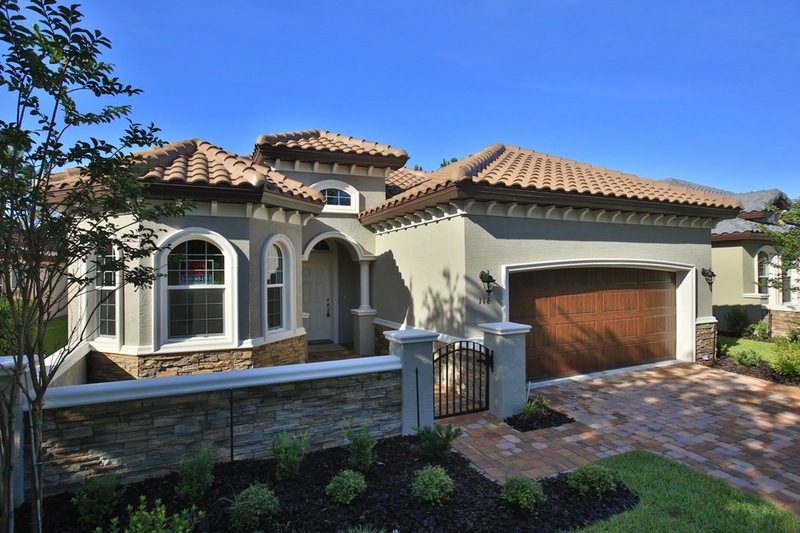 In Palm Coast, visit our Paris IV Model near the Town Center. Live the dream in one of our outstanding communities. Each is built with a particular lifestyle in mind. Creekside Preserve is nestled in a wooded paradise graced with serenity. It's perfect for those who enjoy the convenience of luxury living and the beauty of a tranquil setting. IL Villaggio offers a sense of Old World elegance, with the highest craftsmanship employed and energy efficiency built into every home. This community's architectural details will have you feeling as though you're living in a charming Tuscan villa. Another favorite among our new home communities is Palm Coast, a great place to live for everyone who enjoys fabulous views and golf course amenities. Southern Pines provides a superb location close to beaches, shopping, and freeway access, with tennis and basketball courts available in the community space. Scottsmoor boasts luxury golf course villas and a new activity park featuring pickle ball courts and a putting green. The Estates at Halifax Plantation are Westland Village in Hunter's Ridge blends beauty, convenience, and tranquility in an upscale setting. Browse through our site to learn more about our communities, and be sure to check out our different floor plans. Whichever community you select, Vanacore can build your dream home to your specifications. Our nearly 30 years of experience and commitment to quality have earned us the reputation as one of the best builders in the region. We are in tune with home buyer preferences, and we pay close attention to the little details that make a big difference. Your new dream home will be energy efficient while displaying architectural style and comfortable elegance throughout. We can build a masterpiece to suit any budget or taste.